Khadi Pack - A6PNK, 4" x 6" - 150 gsm | Wholesale | Canvas Etc. When inviting someone to your gathering, you’ll want to make a strong impression. What better way to make that impression than with khadi paper? Khadi is not only beautiful, but feels great in the hand. It’s sure to make a great first impression. 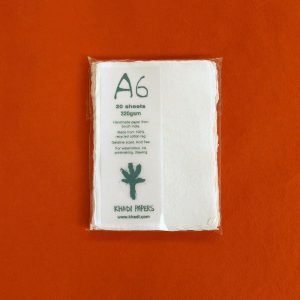 Discover our cotton paper for wedding invitations. Even in this digital age, people delight in receiving letters in the mail. When it comes to invitations or special event planning, your invitation is your first impression to guests. So, you have to make that moment count. 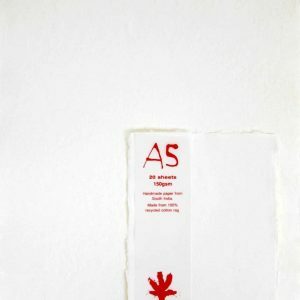 Cotton paper for wedding invitations, for instance, convey class. The handmade feel of the paper draws the recipient in, creating a true tactile experience they won’t soon forget. The upside? 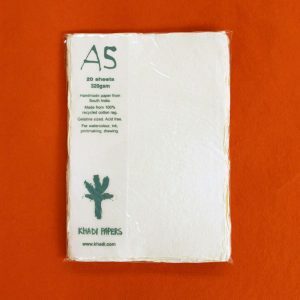 Compared to conventional, professionally printed invites, khadi paper cards are exceptionally affordable. Cotton paper for wedding invitations or other special events is also an environmentally friendly choice. Most paper is made of either trees, bamboo, hemp or flax. These raw materials have to be grown, harvested and processed before they become a sheet of paper. This is a process that uses precious resources, but then also deforests lands. Doesn’t sound very “green” does it? Khadi paper is the right choice for people that care about the environment. This is because khadi paper is literally made of old shirts. Using old shirts means that we are not using up precious resources; we are reusing what’s already there. 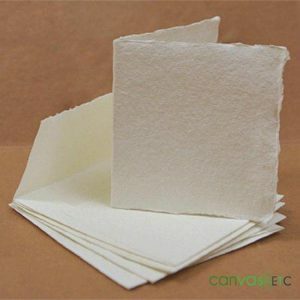 Cotton paper being made from old shirts actually makes it stronger and more robust than most other papers. This is because the shirts are broken down and reformed into paper. The fibers or the old shirt are actually much longer and stronger than wood pulp. 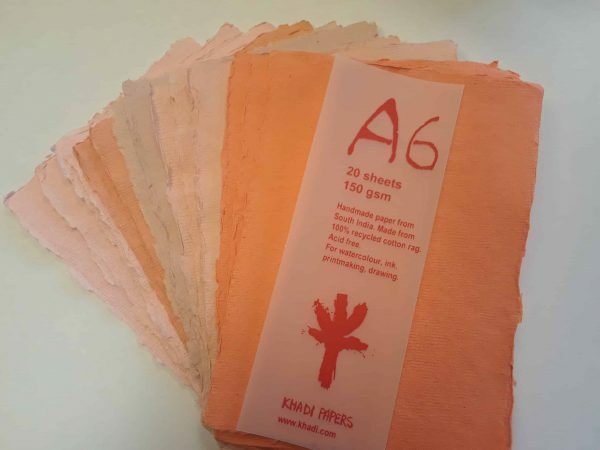 So not only is khadi paper a more environmentally friendly choice, it’s actually a better paper too! This is why so many renaissance masters used rag paper for their works. Many governments around the world still use rag paper to print important documents and even currency. The strength of this paper cannot be overstated. Not only that, but khadi paper remains stable when used. 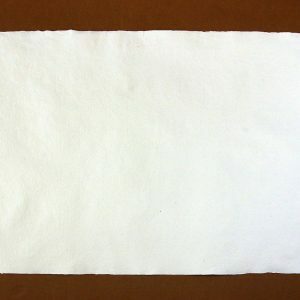 Much of the paper we use today has been processed with chemicals and even bleached to produce a brilliantly white sheet of paper. These chemicals can leach onto whatever has been printed on the paper. When khadi paper is used for art, the work can change and deteriorate in the presence of such chemicals. For these reasons, Khadi paper makes the best choice if you are environmentally conscious. Not only are more sustainable raw materials used, but khadi paper is also processed without harmful chemicals. 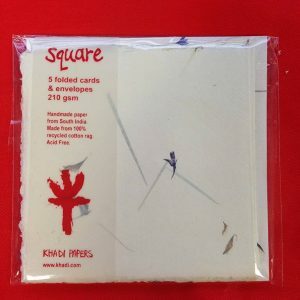 Artist Paper: Take your artwork to the next level with khadi artist paper. These beautiful packs turn your home made artwork into archival pieces that will last a lifetime. 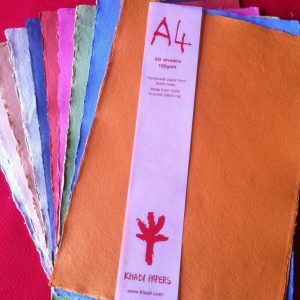 Envelopes: Khadi paper needs khadi envelopes to match! We have a variety of colors including green and pink. 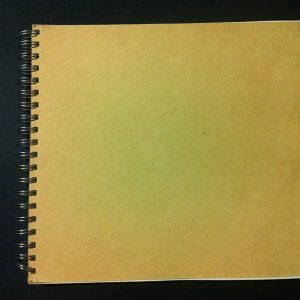 Wired Sketch Pads: Wired sketch pads are perfect for artists and scrap-bookers alike. Turn pages to easily display your artwork. Our wired sketch books come in black and white. 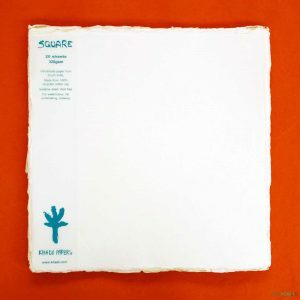 Hardback Books: Canvas Etc’s hardcover books comes in a variety of shapes and sizes. 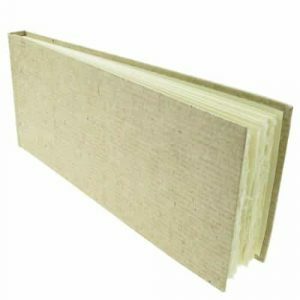 Choose from smooth or rough pages depending on your needs and personal preference. Pressed Flower Paper: Not only is this paper as strong as regular khadi paper, but it is embedded with beautiful flowers. While Khadi paper is already special, each sheet of pressed flower paper is even more unique. Because khadi paper is pH neutral, it’s the perfect medium for stationary and art pieces. 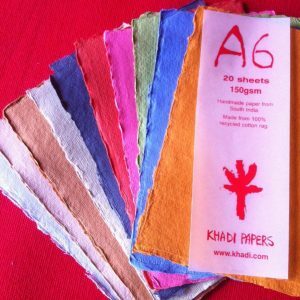 Whether you want to keep a letter as a keepsake or hang a framed watercolor, khadi is the perfect paper. During production, khadi paper is dried and treated with gelatine in order to produce a durable, water-resistant surface. This surface is perfect your art or stationary needs. It will also never cause your work to deteriorate since it is created to be pH neutral. Khadi is made for painting and drawing media. Many watercolor painters love the texture of khadi. Some even prefer that the paper is “thirsty.” They find that working with khadi can be slightly more of a learning experience and pushes them to become better. Many oil painters apply a guesso to the paper to provide an even smoother and less absorbent surface. This gives a perfect surface to allow their work to shine. 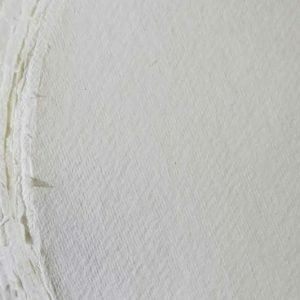 In the end, many people choose to use khadi paper because the paper is as unique as they are. 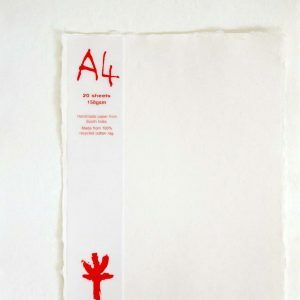 There is something just a little special about producing art on a paper like khadi. And any letter you write on khadi paper is sure to gain a bit of attention. But in reality, people choose to use khadi paper because they believe that it best represents themselves. 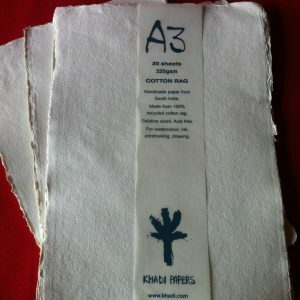 When looking for cotton paper for wedding invitations, khadi paper can speak volumes. Your guests will appreciate the extra care you took in selecting your invitations. They’ll know they can expect the finest of things from you when you send your intimate messages on cloth paper. Canvas etc. 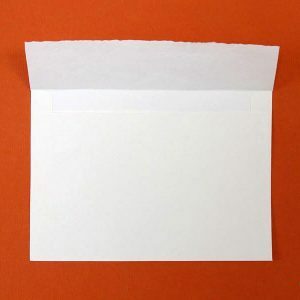 has cloth paper in all different colors and shapes to make sure your message says exactly what you want it to. 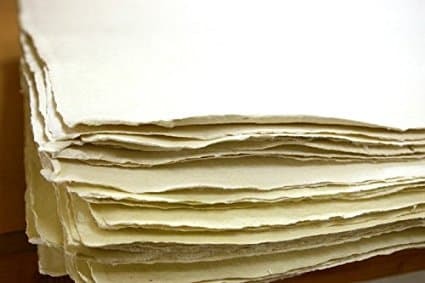 Me sure to look through our selection of khadi paper or contact us to discuss your cloth paper needs with a specialist.